Need a rug in a room that has a lot of light? Blue, like this Ashland Light Blue Area Rug, keeps the space feeling cool and is less likely to fade. 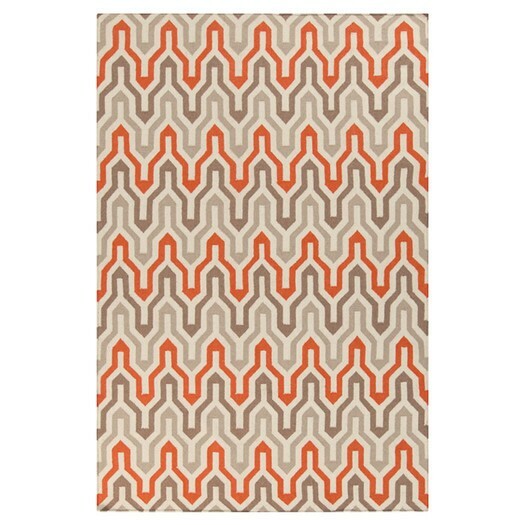 Tessalated geometrics never go out of style, especially in the orange and neutral colors of this Klein Orange/Red Area Rug by Jill Rosenwald. Pair with your favorite wood-legged furniture pieces and don’t forget the brass accents! 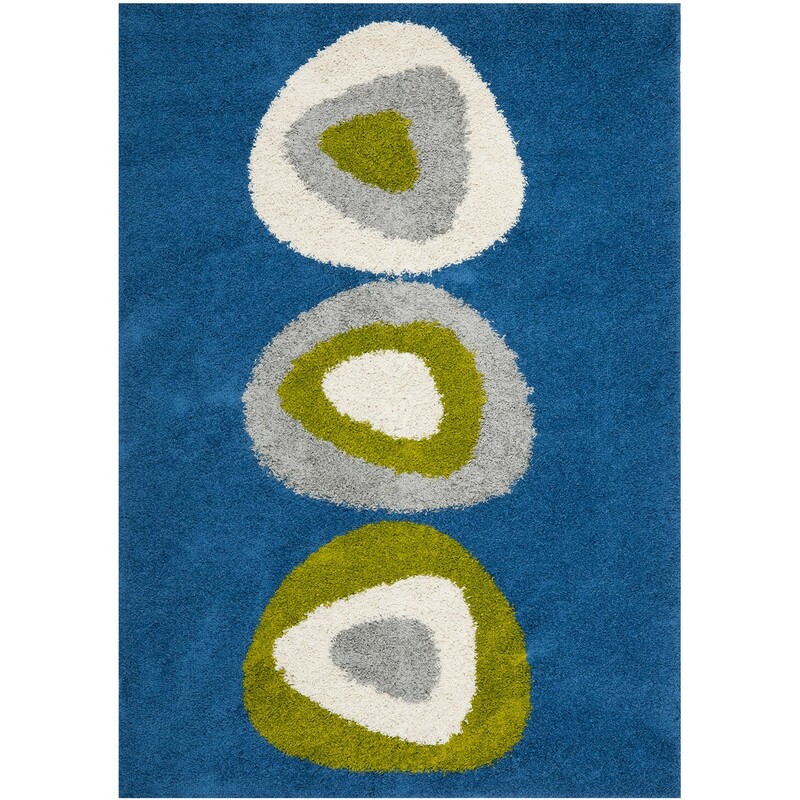 If you’re looking for big and bold patterns, this blue shag rug is just what you need. 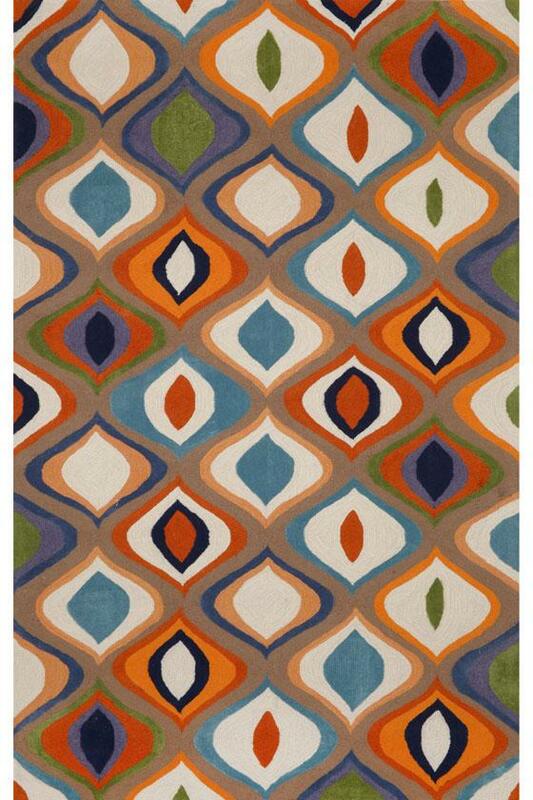 The pattern works best unobstructed and the shag is nice on your feet, so try it in a large space in your bedroom! 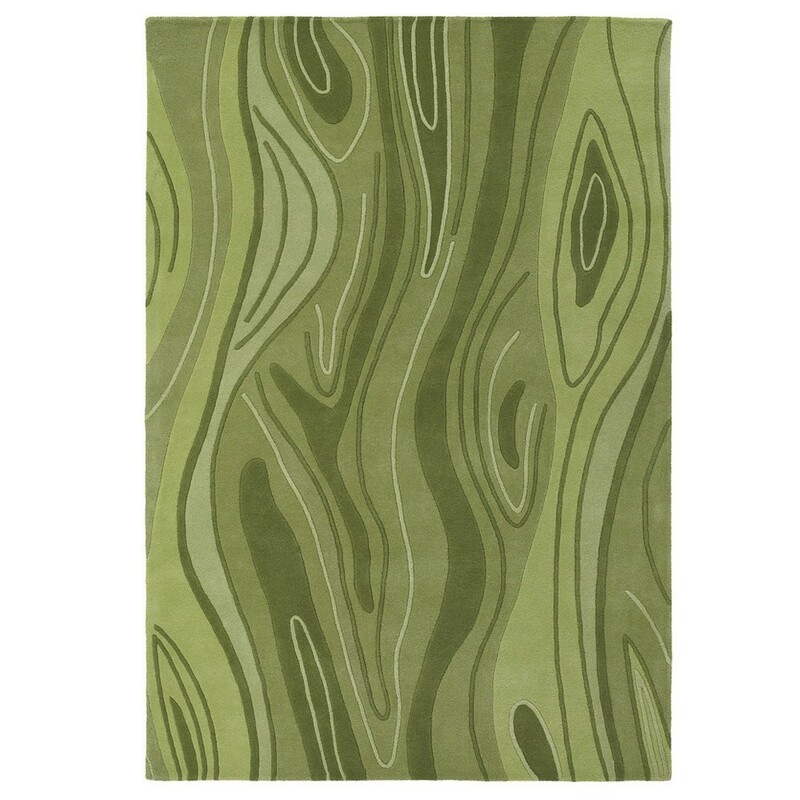 In groovy olive green and a faux wood design, the Inhabit Rug is a nice pair for a masculine room full of dark, wood pieces. Bring out your yellow or orange accents to really complement the space. Brown and yellow—such a classic pair! 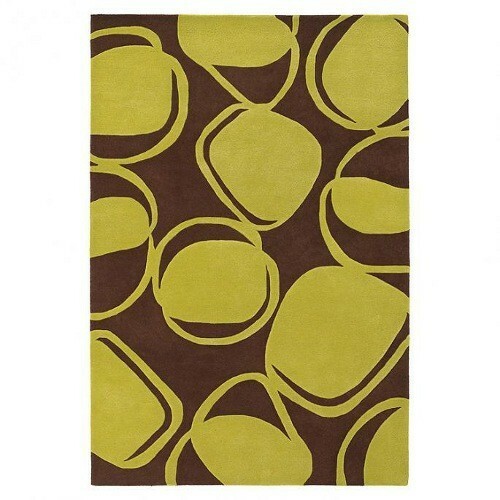 Go for that totally late-midcentury feel with this groovy River Rock Wool Rug in Chocolate and Kiwi, pairing with your funkiest upholstery and kitsch. In a white room with white curtains…you need some color! Loving that bright and slick Palm Springs mod look? 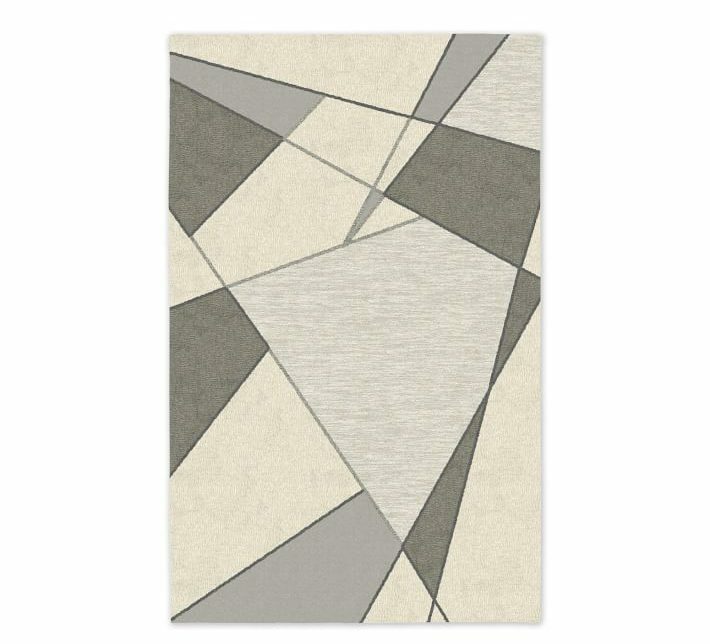 Add a serious flash of color with the Contour Area Rug II. 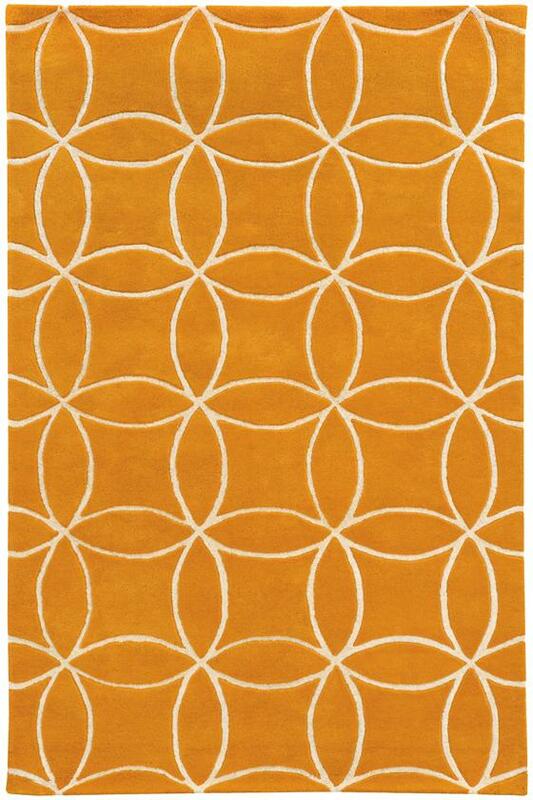 We’d be lying if we said we weren’t partial to orange, but the mesmerizing pattern on this Sun Area Rug is so atomic! Counter its warm glow with a nice cool color, like a teal or might we suggest a nice lime green? Sometimes, all you need is a nice slick base for the rest of your fab furnishings. In that case, keep things nice and neutral yet interesting with the Roar + Rabbit Shadow Geo Wool Rug and pair with pretty much anything in any solid color!